Deezer is a music streaming web platform that allows users gain access to their favorite music. Deezer.com web portal gives users access to various music content from top record labels such as Warner music group, Universal music group, EMI, and Sony.Users can get access to various music on the Deezer.com both online and offline on various devices. One thing I love about Deezer web platform is that it gives users full access to music using streaming technology. 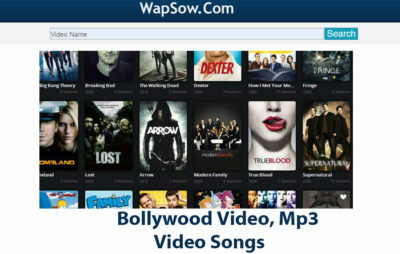 A user can always access this awesome platform using a web browser or Deezer free mobile app. This is a platform where users can get 100% personalized music on their device. The app is available on Google play store, App Store, and other top mobile stores. This is a platform that required users to create an account. This gives users full access to no limits to listen to music anywhere, anytime. The sign up process is free and easy and doesn’t require any hidden charges. In other, for users to create an account user is expected to have a good internet connection, a web browser or the mobile app. Now the user can easily access this platform using a web browser or the mobile app. Below is a step by step process on how to sign up for an account. Launch your web browser and enter the url as www.deezer.com on the address bar of your browser. Enter your sign up information such as Email Address, password, username, gender, and age. The sing up section is just in the low middle section on the homepage. Click on the sign up icon to complete the account sign up process. Note that users can also sign up for an account user Facebook or Google plus. This we automatically make use of your preferred social media account information you click on to set up your account. After which you have successfully completed the sign up process user needs to set up his or her Deezer streaming account. Select at list one genre in the first page. Such as R&B, Pop, Rap/Hip-hop, Rock, and lots more. When users access the Hear This section by clicking on the icon they get to see a list of recommended song of the day. There is also add to my music icon where users can add music to his or her Playlist. A user can also click and hold the play icon to preview track. My Music tap gives users access to update all his or her personal information in his account. Users can also access his or her favorite tracks, Playlist, Albums, Artist and lots more on my music tab. If you have created an account on this platform you can always login to your any time. This platform that supports mobile device such as phones and tablet. Below are the steps on how to login to this platform to gain access to Deezer mp3. Launch your web browser and enter the url as www.deezer.com in the address bar section. The login section is located at the middle of the home page. Enter your email address and password. Check if all information you entered in the login feed is correct and click on the login icon below. User who lost their password or probably doesn’t know what their password is anymore can always reset their password. This is by clicking on the icon which says Forgotten your Password?. This we redirect you to a pop up page where you have to enter your email address. Click on the reset your password icon once you have entered your email address in the box.